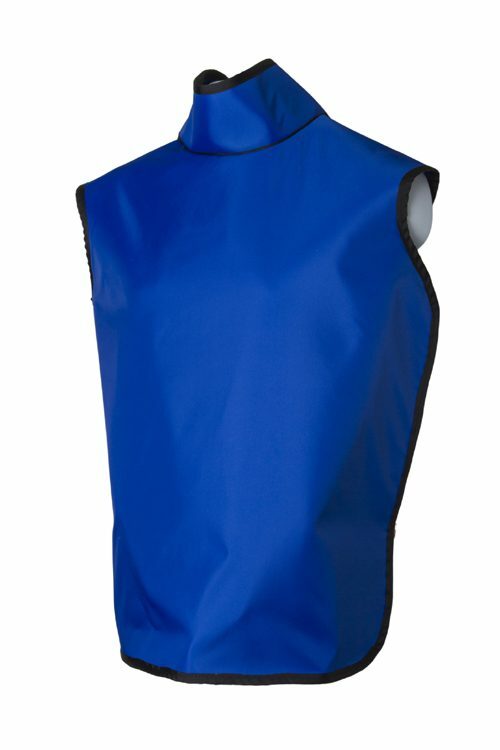 Radiation Body Shield – Our Radiation Body Shields (aprons) provide complete patient protection at a value price. Our Radiation Body Shields are designed for complete patient protection of the neck, throat, chest, shouders and gonad area. A single velcro collar closure makes this apron fast and easy to use. The Radiation Body Shield includes hanging loops by the collar for easy storage on an apron hanger or peg rack.